Belen Chapur: Mark Sanford’s fiancée surprised by his Facebook breakup post. 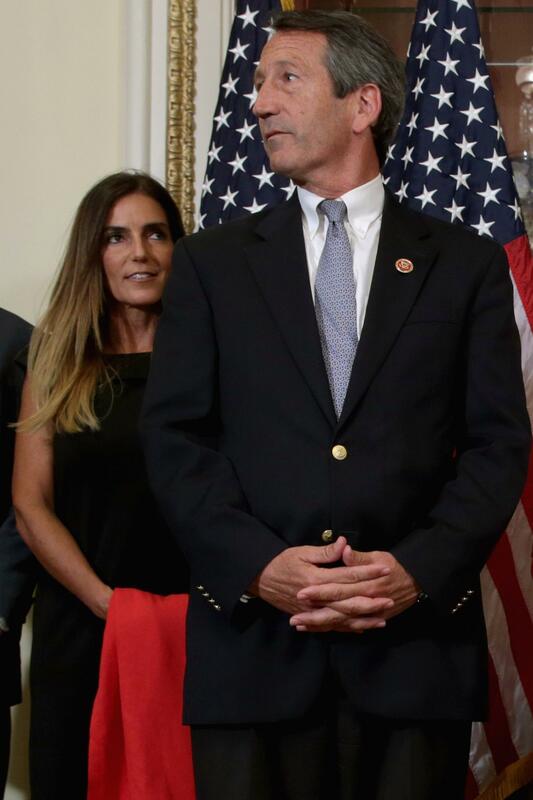 Rep. Mark Sanford and María Belén Chapur wait for a ceremonial swearing-in at the U.S. Capitol on May 15, 2013, after he won a special election on May 7. Washington insiders were shocked Friday when Rep. Mark Sanford announced the end of his relationship with his Argentine fiancée in a rambling, 2,346-word Facebook post. The fiancée, María Belén Chapur, was also surprised. “I learned it from the press today,” she told the New York Times on Saturday. The former South Carolina governor, who famously said in 2009 he had gone “hiking on the Appalachian Trail” when he was in fact in Argentina with Chapur, blamed the end of the relationship on his ex-wife, Jenny Sanford. Over the last few months, Chapur and Sanford apparently argued incessantly about a wedding date. The two had gotten engaged two years ago, and she was tired of waiting. But Sanford asked her to put off the marriage for two more years. And the relationship that began in the figurative Appalachian Trail ended in Paris. The two apparently had a great time there but she delivered an ultimatum. And he didn’t budge. “His response was, ‘24 months. If not I’ll say goodbye and I will look for you in 24 months.’ ” She asked him to make the breakup public, but she apparently had no idea he was planning on the Facebook post.